The vacuum cleaner is an awesome cleaning tool. To keep your machine in good working order, prolong its life, and get rid of the dust, dirt, and pet hair, you need to periodically clean the cleaner. This is a guide about cleaning a vacuum. 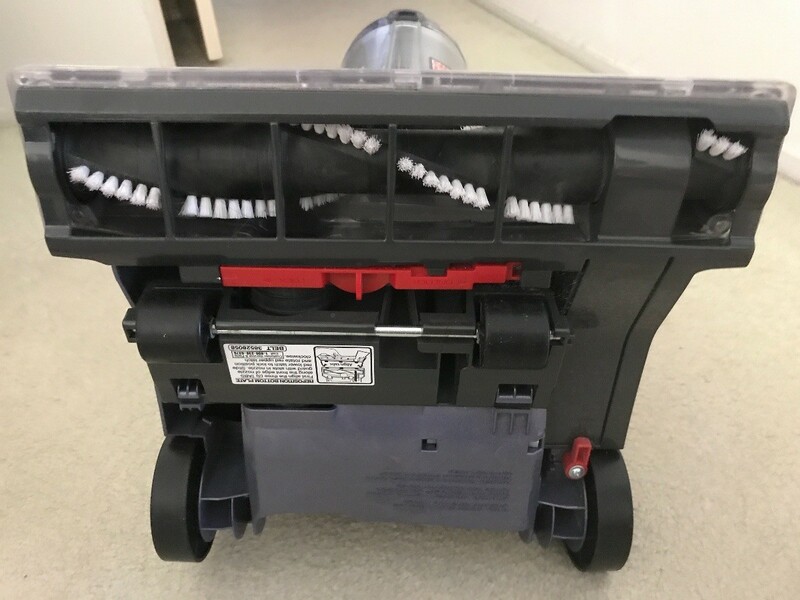 I own a vacuum cleaner that has a dust bin instead of using a bag. It contains a cylindrical fluted filter which is rather difficult to clean. I usually clean by banging it on a cement wall outside. However, we have so much snow this winter here in ND, there is no good place to do this outside. What to do...? I solved the problem by vacuuming the filter using my upstairs vacuum cleaner. This worked so well that I won't go back to doing it outside any more. The upstairs vacuum cleaner has a sponge-like filter and I can clean that one with my downstairs vacuum cleaner. I believe I will also clean the fluted filter on my Dustbuster that way. Sometimes the clear and not so clear tubes of my vacuum get full of dirt and residue. I bought a baby bottle brush to clean these tubes. It fits perfectly and does the trick quickly. Use an air compressor to blow out your filters on your bag-less vacuum, it really extends the life of the filters. Editor's Note: Be sure to do this outside. In our household, we never have any vacuum issues because each time we finish vacuuming the entire house, we will remove all the hair stuck underneath the vacuum. By removing the hair, you will put less stress on the motor of your vacuum. Plus this will allow the brushes to spin properly and not get stuck. as you can. 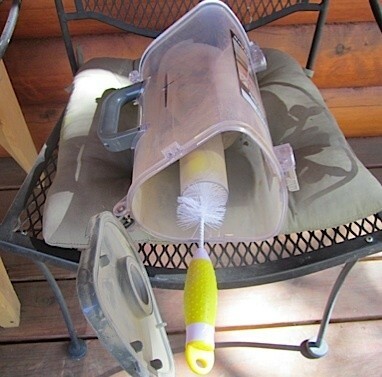 Thread, yarn, and hair can become tightly wrapped around the brush roll on your vacuum. Using scissors or a seam ripper can help make cleaning it easier. 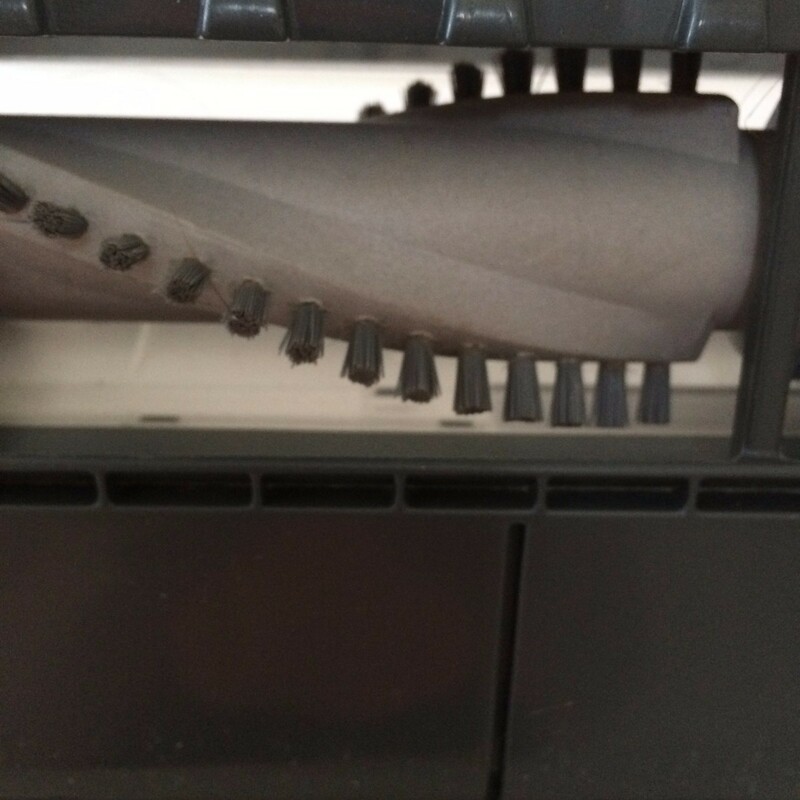 This is a guide about how to clean a vacuum cleaner brush roll. Many of the things that your vacuum picks up, such as pet hair, can result in persistent odors that are released whenever you turn it on. This is a guide about how to remove odors in a vacuum cleaner. 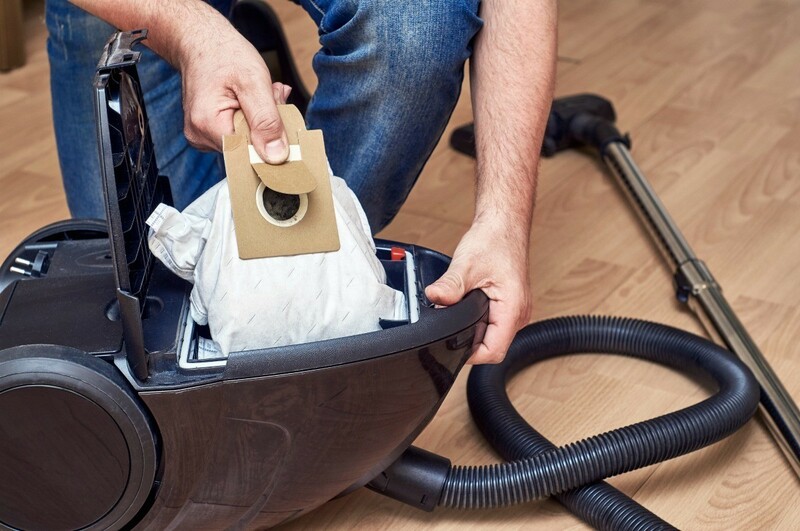 If your vacuum is stinky, it may be necessary to do a deep cleaning of the vacuum to locate the origin of the smell. 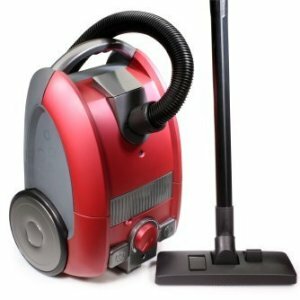 This is a guide about cleaning a stinky vacuum.